Chase Has A Great New British Airways Visa Offer, Though It’s Not Quite As Sweet As Last Year’s. 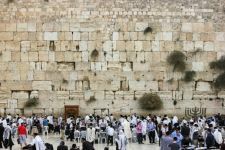 -Save $400 On Fuel Surcharges To Israel By Booking Avios Rewards Via Iberia Instead Of British Airways! -Booking With Avios? Check Those Surrounding Airports! -Using BA Avios To Fly In Business Class For An 80 Minute Flight Can Make Sense. -Short-Haul Flights: BA Avios Versus LAN Lanpass. -BA Miles Are Now Avios…For Better Or For Worse. -You can get another 25,000 bonus Avios after you make $10,000 in purchases within the first year of account opening. -You can get another 25,000 bonus Avios after you make an additional $10,000 in purchases also within the first year of account opening. -Every year that you spend $30,000 on your British Airways Visa card, you’ll earn a free companion ticket good for travel on British Airways for two years. That means with 80,000 miles you’ll have enough to fly 2 people in British Airway’s award winning lie-flat business class to London or with 120,000 miles you can fly 2 people to London in BA’s top-notch first class, though you do get hit with fuel surcharges. You’ll be able to “pay for those” by eating awesome Hermolis kosher meals in the London lounges (if only Hermolis catered all kosher meals!!!) as well as in the air and by taking advantage of a free massage and great scotch in the lounge as well! Last year they ran an offer for a month offering 100,000 miles for spending $3,000 in 3 months. This time they will give you 50,000 miles right off the bat, so for some people this may work out better for them as there’s no need for any major spending to get that. 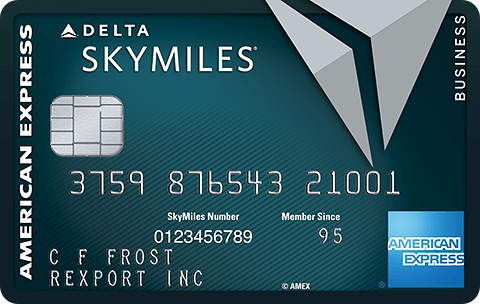 However to get 75,000 bonus miles or 100,000 bonus miles you’ll have to do some serious spending on the card in the first year. It’s unknown how long this offer will run for. -11 one-way short-haul tickets (4,500 x 11 tickets = 49,500 Avios required) between New York and places like Boston, Cleveland, Detroit, Montreal, or Toronto. It’s also enough between Miami and places like Cancun or Grand Cayman, all on OneWorld partner American. 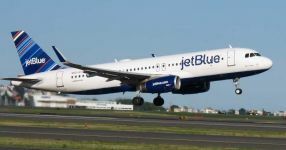 -6 one-way tickets (7,500 x 6 tickets = 45,000 Avios required) between New York and Chicago or Florida or from LA to Cabo. 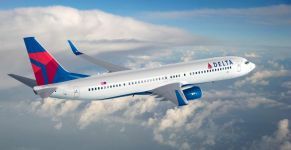 -5 one-way tickets (10,000 x 5 tickets = 50,000 Avios required) between Chicago and LA or between New York and Puerto Rico or the US Virgin Islands. -4 one-way tickets (12,500 x 4 tickets = 50,000 Avios required) between the west coast and Hawaii, New York and the west coast, or New York and Costa Rica. Hard to beat that value of just 25,000 miles for a round-trip between Los Angeles and any of the Hawaiian Islands with no fuel surcharges! -2 one-way tickets (25,000 x 2 tickets = 50,000 Avios required) between New York and Brazil or Argentina. If you can spend $10,000 in a year you’ll have at least 87,500 miles (75,000 bonus miles plus 12,500 miles for the spending) and if you can spend $20,000 in a year you’ll have at least 125,000 miles (100,000 bonus miles plus 25,000 miles for the spending). That’s enough for more than 27 short haul one-way tickets. -Every year you spend $30,000 on your British Airways Visa card, you’ll earn a free companion ticket good for travel on British Airways for two years. -There are currently no fuel surcharges for flights wholly within the western hemisphere. These include flights on American (AA), Alaska, and LAN. Fuel surcharges make flights that across the Atlantic Ocean prohibitively expensive. -There are no expedite or close-in fees for booking last minute award tickets with BA Avios. -You can book one-way tickets for half of the cost of round-trip tickets. -British Airways only charges 10% extra miles and no extra money for a lap child flying internationally, even when traveling on AA. AA and other domestic carriers charge a whopping 10% of the full fare. -British Airways charges double miles for business class and triple miles for first class. Beware that when flying domestically on AA’s 2 class planes they charge first class rates for what is really just a poor excuse for business class. -You can pool together miles from everyone in your household! 77 Comments On "Chase Has A Great New British Airways Visa Offer, Though It’s Not Quite As Sweet As Last Year’s." How much will 50K be worth in cash ( if its cashable at all ) ? Anyway I can get this bonus if I still carry the BA card on the bonus that I signed up to last year (100k after 3k spending)? Looks like there is a $95 annual fee. Does anyone know of a way to waive it? Last time I canceled within 60 days and got to keep the miles and they refunded the $95 annual fee. Proper grammar would be you’re mistaken or you are mistaken. At any rate you are the one that is mistaken as there are no last minute fees with Avios, I just booked a ticket to go to Toronto hours before my flight without no fees. Did you miss comment 6? 1 – If I did a successful 3bm with Chase about 40 days ago (CO, United and Sapphire) what are my chances of getting approved now with another 3bm for (let’s say) BA, Freedom and SW? 2 – If I did the Chase BA 100k offer after spending 3k in 3 months, about 18 months ago, what are my chances of getting approved for this a)with my old BA FF number or b)a new BA FF number? @Sam: I find it ironic when the one who bothers to comment on the poor grammar of others commits a blatant grammatical blunder himself. “Without no fees” is a double negative. In the future, substitute with “without fees” or “with no fees” or keep the grammar comments to yourself and feel free to talk however you’d like, judgment free. Any chance to get approved for the card if I cancelled the previous one a few months ago? BA DOES charge a small cash fee on top of the 10% miles for Canada to US (e.g., YYZ – LGA). IIRC the fee is ~$17 plus 450 miles. As such, you can save the 450 miles and pay the fee directly to American, either on the phone or at the airport (not at a good idea if you’re going to be in a rush). Can anyone else who’s done this route with kids weigh in? On domestic and Canadian itineraries it’s always best to add the infant at the airport. Don’t even mention the infant on BA.com. On most other trips you will want to add them on BA.com, for my upcoming Argentina trip that saved us a small fortune. Of course. You can book it on BA.com by searching for a flight and then clicking on include partners. I applied for the BA CC and Saphire CC (using different browsers), it told me to wait for response within 10 days. Can I call them up in the meantime or do I need to wait for a written response? If yes, who do I call? I want to split my $47,000 credit from my freedom card, which should give them room to have the new cards. Personally I wait and let it play out, but some people call right away. With $47K in credit you should have no problems getting those cards approved. Enjoy the miles! Maybe this is just me being a novice, but I think it also helps to point out that the free companion ticket is applicable to award redemptions as well! Do you think that makes it more attractive, assuming you could hit $30K annualy? However in business or first class those fuel surcharges can still be worthwhile. If i signed up for such a card before do i need to start a new BA account or can I use the same account they credited the points too last time? (I think it was over a year ago). 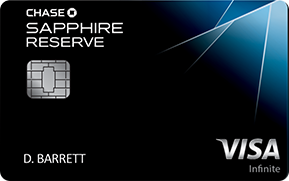 Does anyone know if a)I can convert my sapphire card into this card and b)will I still get the signup bonus? AA generally has excellent sAAver availability, you can search it right on AA.com. You don’t get signup bonuses for conversions. There are not fuel surcharges in the US or the western hemisphere. There are massive fuel surcharges for flights that cross the Atlantic. why dont you answer my question. Bump… I’m comment #2… any answers? do u get an email after u get approved? two years ago I got the BA card with the 100,000 promo. Last year I applied for the card withe 100,000 promo(using a different BA number) and received a letter from Chase informing me that I was not eligible for the promo since I had gotten it the previous year. Is there anyone out there in a similar situation who got approved now ? I looked into the avios point today. Seems like a really bad deal. Any flight I wanted to take to Europe I had to add close to $1,000 for taxes and fees…Doesnt seem worth it…What are your thoughts? How would canceling my old BA card affect my credit? I have had it over a year and paid the $95 annual fee. Unrelated- Do hyatt free days post to te account or come in the mail. Either way does it come in enough time to avoid the annual fee? I attempted to book a mileage flight on AA, NY to Buenos Aires. The mileage flight is available, but I want to use BA Avios to pay for it.It doesnt show up on BA.com and when I called them, they said if you dont see it then it is not availble, and they get very few seats on AA. Is there hope? 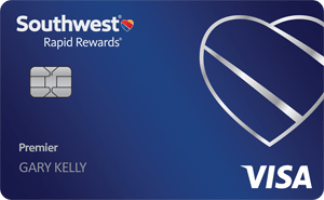 How much mileage is it to Pittsburgh, using this credit card. 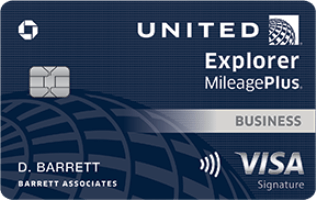 I applied for this BA card, Chase Hyatt, and Chase United Explorer (3 browser method). The hyatt immediately told me approved, and the other two told me they need to look into it. 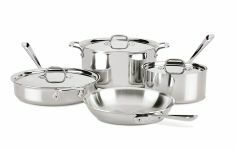 What is my next step? how do I play it to get credit for all 3? Anyone know the chances of getting approved? I NEED a new Credit Card within the next month and dont want to waste my application if I wont be approved? Or, is there a card out that I would most likely be approved for? Call reconsideration or credit analyst. If you don’t apply you’ll never know. There is no mileage card that is guaranteed to be easier than another, it’s all based on you. 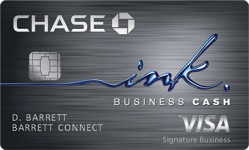 Dan, I recently received BA chase card but I called Chase and they will not waive $95 annual fee. Anway I can keep the 50,000 bonus points without paying the annual fee? Only if you close the card. 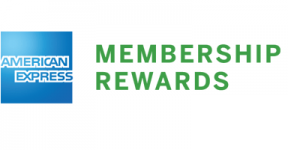 Once you have the signup bonus Avios in your account they are yours to keep. Send a secure message to ask when you can get a refund until. I am an American living in Canada. 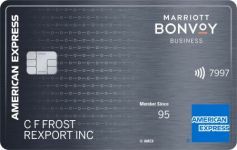 Anyway that I can apply for this card and have my Canadian Credit History help me out? so is there any way not 2 pay the annual fee? how does that affect credit? Do these points ever expire if I close the Credit card to avoid the annual fee? Transfer the credit line to another card and it won’t. 3 years from last earning/redemption of BA miles. @centro: Avios is sold for about 1.1c so for 100k Avios you can get $1100 if you look around. 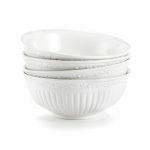 It cango higher or lower – depending on availability. I just cashed in for 100k at 1.1cents so 50k – $550, not bad for doing nothing. @centro: Woops! Didnt realize your comment was from April! Absolutely, but don’t close the old ones first!!! Congrats on the successful 3bm, good luck on your next! 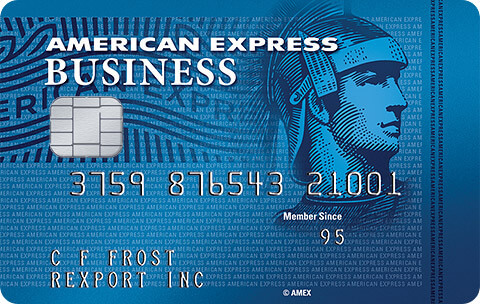 With Chase having so many great cards, is it worth using this as a 3BM with Chase when Amex MR has very often 50% sales with BA and not many other great options to redeem with? @Dan: is it the same to move all my credit (with chase) to 1 card and close down 2 and then open 3? 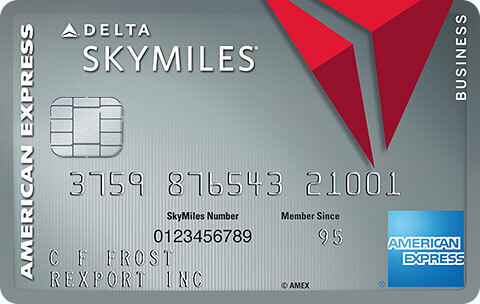 I am looking to get a second credit card for points and miles. My credit score is 752. Should I apply for this card or are there better card deals out there? In addition is there any way to waive the annual fee for the 1st year? @Dan , If I got the 100k British miles 3 years ago , will I be able to get it again ? Hey Dan, I was wondering if I can apply for this car eventhough I already have had one for over a year? If you are looking for the best offer out there right now ill either do the 2 browser application to CITI AMerican airlines Advantage for the Visa and Amex and receive 100k American airlines miles, the annual fee is not waved but you really end up ahead since youll receive a $150 statement credit when you do any purchase on American airlines, even a $1 purchase will do. I bought a $50 American airlines gift card at the Admirals club in Ohare and received a $150 statement credit in 3 days. You also can use American airline mile on BA. Another good one is the Chase Sapphire with 40k ultimate reward points bonus and annual fee waived for first year, you can transfer these ultimate rewards to United or several other airlines. David, ill only do this if you do not plan on applying to more Chase cards in the future , Chase is aware of the game and started blocking applicants who drop a card too fast without paying a fee or using the card much. How many Avios does it cost to fly from NY to LA? I recently (beginning of April) opened a new chase sapphire CC and I forgot that I need to spend $3,000.00 within 90 days, and the 90 days are over and they donâ€™t want to give them to me, is there anything I can do to get my 50,000 points?? @Dan: what do i write them?? i begged them over the phone and asked for a supperviser and no luck!! i’m so upset!! Lots of good questions, all of which are covered extensively on the DansDeals forums. Dan, I already have a chase freedom and applied for a chase sapphire. They replied that I already have an account with them. What should I do? Dan your post above said 50k after 1k spent within the first 3 months then an additional 25k for the next 10k spent within the first year and then again 25k for the next 10k spent within the same year, i’m almost at 20k of spending which i put allot of my spending on this card for the 50k bonus, now chase tells me for the first 25k bonus 10k of spending is required however for the next 25k bonus “20k” of spending is required, which makes it 30k of spending to get the extra 50k, was it a mistake on your part or did chase just decide to change the agreement after the fact ? You were misinformed. Once you spend the next 10K you will get the 25K bonus. You only need to spend 30K to get the companion ticket.